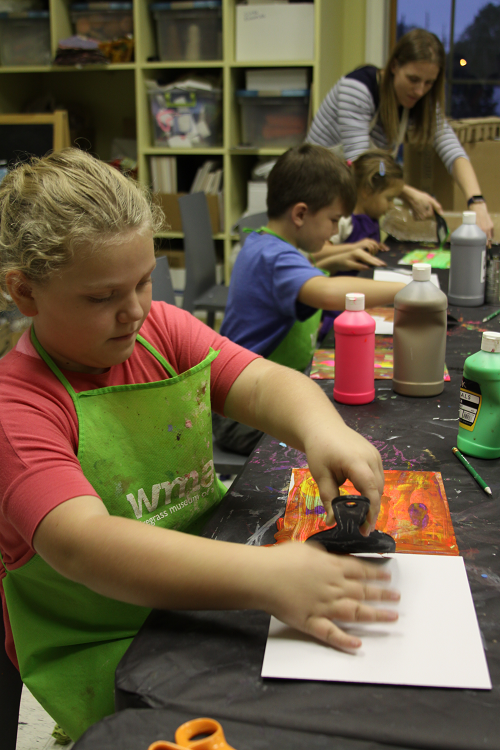 WMA’s youth art classes are now offered in a series! Join us each month for three classes that focus on artwork on display in the galleries. Students will learn about a new work of art each week by discussing the artist and how it was created, as well as sharing thoughts on the work in a sketchbook made by each student. After learning about the artwork, students will have the opportunity to create their own unique work of art using the same process as the artist. Pre-registration is required by the first Saturday of the month. Classes will be held in WMA’s studio from 4-5:30 p.m. on March 12th, 19th, and 26th. Have questions? Call 334-794-3871 or click here to email Educator Amanda Holcomb.